This is so cute! Perfect way to use the felt. Too adorable using the felt! An amazing corral of all those media - great card! 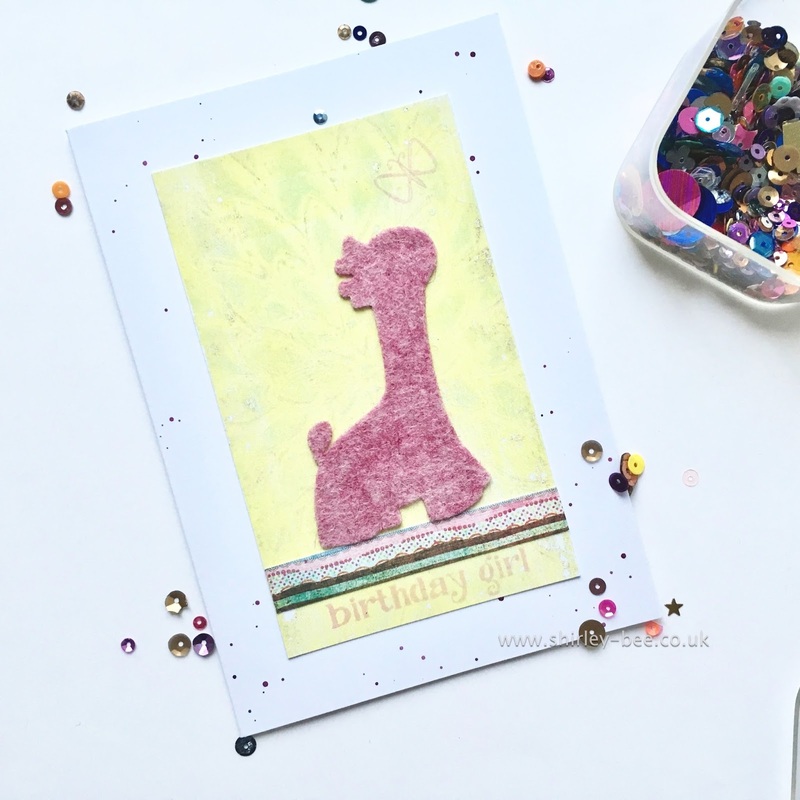 I love how you've left the die cut as is, without trying to define it - the giraffe looks gorgeous! Just so sweet...love your felt giraffe! The simpler the better. Great idea to just leave the giraffe plain and use scraps to added texture and color. Love that let Giraffe Shirley! He is super cute and it's only a silhouette! Great card! Great giraffe, Shirley! What a perfect image for die cutting, and the felt you used is beautiful . I laughed that you squirrel away little scraps of patterned paper like I do, too! Your little giraffe is darling! Felt-fantastic! This is a super cute birthday card for a little girl! I like to save scrap papers, too! Great use of strips on your card! Such a cute felt giraffe die cut. All I could think of was flowers to die cut from the felt. Great card.